Somehow, in the height of teenage mischief, I missed out on something magical by not diving deeper into the music of Belle & Sebastian. As part of the Oregon Zoo Summer Concerts series, the show kicked off with Japanese Breakfast, fronted by talented and excited Michelle Zauner. Originally from Eugene, Zauner talked about missing her hometown and engaged actively with the audience with enthusiastic banter. The set was short, but perfectly dreamy. Japanese Breakfast kicked off their finale with a hit: Eveybody Wants to Love You, leaving the audience jumping up and down and dancing wildly. 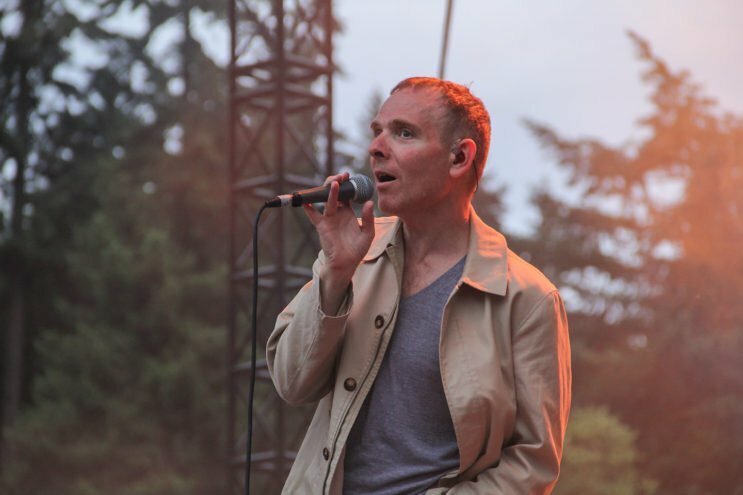 By the time the Scottish dream band arrived onstage, every seat in the audience must have been filled, each breath being held for Stuart Murdoch, lead singer of Belle and Sebastian, to walk onstage. The group kicked off the set with I Fought in a War, a classic from 2000, leading into Dirty Dream Number Two. As the sun went down, the band was illuminated with the dreamy glow of orange and blue stage lights, further surrounded by the adoring gaze of life-long fans. After If Your Feeling Sinister, the audience wiped their tears for an upbeat new song put out this past January, The Same Star. By the end, the show was a full-on party: Stuart hopped off stage and ran through the audience, onto the grass, up to the seats, collecting dancing fans as he went! He landed back onstage with a crew of 20 or more smiling audience members, singing along and basking in the glow of celebrity. I left feeling utterly heart-warmed, like being swaddled in a warm comforting blanket, forever a fan.